A wave of tropical flavours that captures the sunshine sweetness of golden tropical fruits, pineapple and mango. Tropical Tsunami offers a syrupy-sweet vape with a fruity tropical twang. If a Caribbean cocktail is exactly what you need in your life, this is the perfect liquid for you. 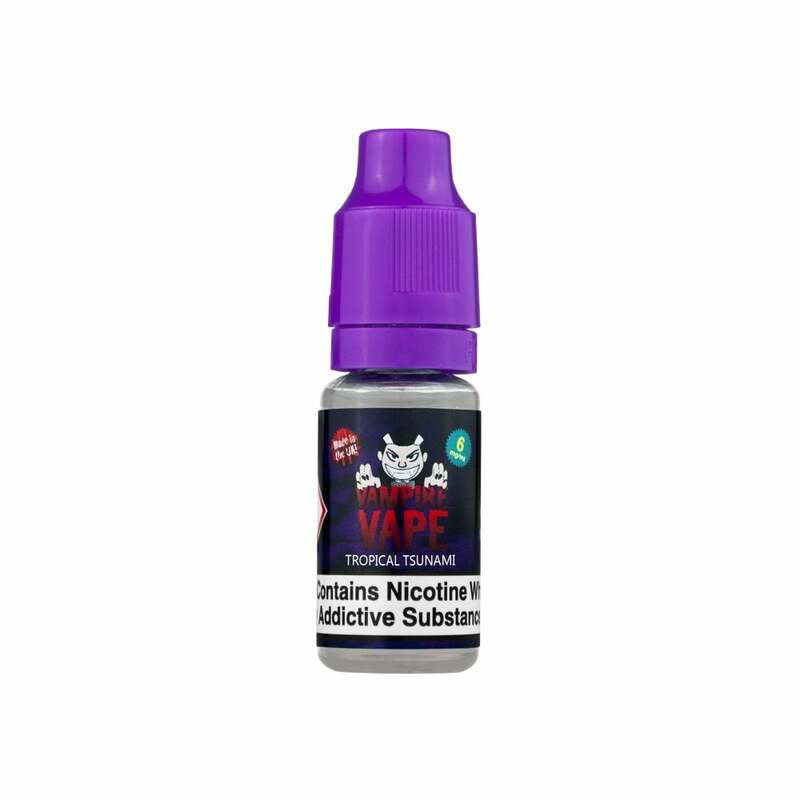 Vampire Vape is a UK-based brand with a flair for great-tasting and exciting e-liquid flavours. All e-liquids are put through extensive quality and flavour testing, with the help of in-house flavourists. Every bottle of Vampire Vape e-liquid assures unrivalled quality and taste.